Visit Malaysia and be mesmerized by the many amazing and exciting destinations that you can explore while you are on holiday here. There are 13 states in Malaysia that will captivate you and there will definitely never be a dull moment here. The state of Melaka is a must-visit state when in Malaysia. Known as the historical city of the country, this small and humble town has all that any history enthusiast will love to see when on holiday. 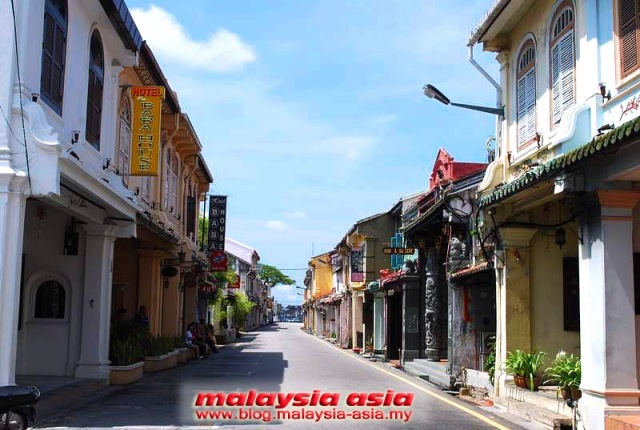 Melaka is also a great state to begin your exploration of all things interesting and charming of the nation. Melaka was once the most significant port in for the region and drew many people from across the globe to the port to engage in business as well as other activities. There are many historical sites as well as monuments that should be included on your tour itinerary when in Melaka and the No. 8 Heeren Street is one of them. This two-storey building was built in the late 1700s with the traditional residential structure of a shop lot back in the 1600s that is unique to this place. The shop house at No. 8 Heeren Street became such an important part of the city’s vibrant business sector. Back in the day, the shop lots on Heeren Street were built and were always bustling with activity. People would come here to do their grocery shopping and there were residences here as well. The street was also home to shop lots that served as stable and animal yards. This is the street that contributed to the city’s growth and environment. In fact, these dwellings are the oldest that the nation has and therefore there have been efforts to guard and maintain these shop houses. Today, the shop house serves as a tourist attraction where exhibitions are held. A visit to the shop house will give you a glimpse into what Melaka looked like back then and it is definitely something you would not want to pass up on. If you come here and you love the charm of the area, then there are a few hotels nearby and in the area that you can put up it. The Baba House for example is a good choice of a hotel to put up in. This cosy hotel gives you a good view of the entire street and the street is in close vicinity to some other tourist attractions in Melaka.